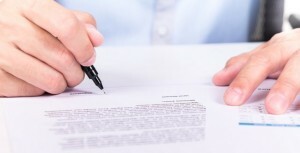 If you settle your personal injury claim, you will need to sign a release to get the money. A release basically means that you are releasing, or letting go, your claims against the responsible party. In a car accident, that usually means the owner and operator of the other vehicle as well as their insurance company. In a slip and fall injury, it would be the property owner. In a medical malpractice case, the doctor and possibly the hospital would want a release in exchange for a settlement. Releases are covered by basic contract law. There is an offer to settle and, if agreed, an acceptance of that offer. But there must be what is called a “meeting of the minds” which means that the terms of the offer and acceptance must be agreed to by both parties. If the acceptance does not match or “mirror” the offer, then there is no agreement. In a recent Florida case, the importance of having a “meeting of the minds” was clearly demonstrated. After a car accident, the injured party offered to settle her claim against the other driver for his policy limits with USAA Insurance Company. In addition, she offered to release her claims against the other driver. However, her attorney specifically advised USAA that she would not sign a release containing a hold harmless agreement nor an indemnity agreement. The attorney also warned USAA that any attempt to release anyone other than the other driver would act as a rejection of her good faith offer to settle. USAA agreed to settle and sent the settlement check along with its standard form release without regard to the specific demand language. The injured woman’s attorney stated that the language “Releasee(s), its agents, and employees” was an attempt to expand the release to include USAA and therefore she considered her prior offer rejected. She then filed a lawsuit against the USAA insured who responded by filing a Motion to Enforce Settlement, arguing the personal injury complaint should be dismissed because it was barred by a settlement agreement. The trial court judge agreed and granted the motion. An appeal by the injured woman followed. Judge Matthew Lucas writing on behalf of the Second District Court of Appeal in Lakeland Florida, agreed with the injured woman finding that the acceptance did not “mirror” the offer and thus, there was no meeting of the minds. As such, there was no agreement and no release. The trial court was reversed and the injured woman was allowed to proceed in her lawsuit. Now you may wonder why her attorney took this approach. There is a very good chance that the policy limits were inadequate to compensate the injured woman. The attorney made a very specific good faith offer to settle the case. The insurance company failed to protect its insured by carelessly sending a form release which did not mirror the offer and operated as a rejection. That entitled the injured woman to seek the full value of her injuries against the other driver. Ultimately, she could get the full value of her damages from the insurance company in a bad faith lawsuit because of the insurance company’s failure to properly accept the initial offer to settle and obtain a release for its insured.